Good grief! I am speechless. What on earth possessed him to build that automotive Liberace? That thing is even more ridiculous when you read his note at the end of the ad. "in no way is this the real car that was used in the movie in any way. I have never stated that it was-only that it is a replica of the real car used in the movie. " So it is a replica of a 6000 lb goofymobile. The Lotus 7 S4 with BDR in CO is back. Its white in body color from memory. This has been on and off for sale for a long time. Set up as a race car. The engine alone is probably worth $12-14k (fresh would be high teens to low 20s) of the value of this car. Check that it is R spec and not some lesser spec (e.g. A, G, etc) as that impacts value greatly. Beats the dealer S4 above by a long way. Only asking $23900 Twin cam engined cars sometimes go for more. No photos so it probably needs cosmetic work but at this price it is worth checking it out. 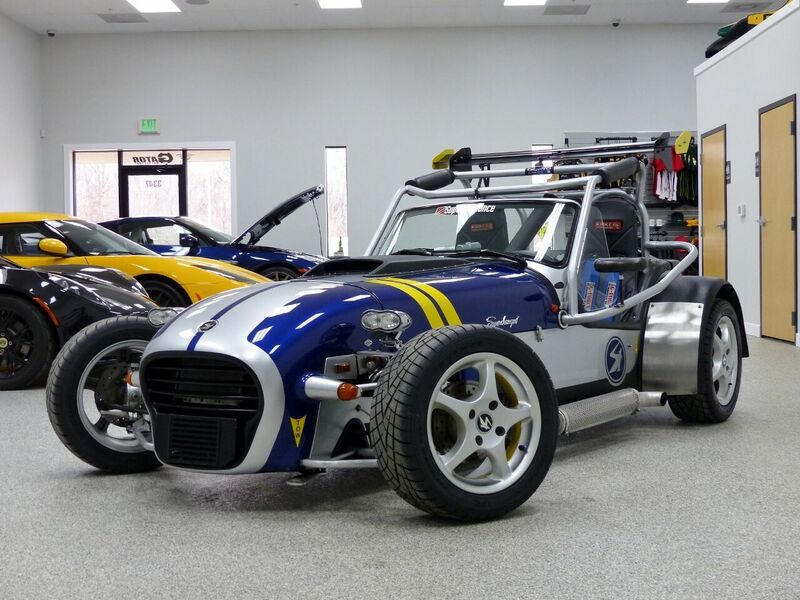 Caterham crossflow gone up for sale in NJ. Looks like a reseller from a car that came from TX. While still living in NJ, I went to look at a Pantera and Contemporary Cobra replica he had on Ebay at the time. Actually bought an old Jeep Wrangler with a plow many years ago from him. He is right on the border of Bridgewater and Warren, NJ and appears to make a decent living by reselling. 1963 Lotus 7 S2 in Ontario Canada. Needs restoration. Not running. Twin Cam engine. The Wirewheel Caterham has already taken a deposit by the looks of it. Anyone want a Caterham Sp300? Anyone want an original Lotus 11? Classicars.com has a few - these may have gone too since the ads are not cleared out regularly. There is a lot out there this week! Last edited by Croc; 04-30-2016 at 06:01 AM. I'd buy the green Birkin in Maine, if I were in the market for a se7en. Guys the 05 Birkin on Craigslist in Austin is mine. I listed the builder as just MSI which should be MSI Motorsports / BirkinSport back when it was run by Woody Harris. The car weighs 1234 with about a half tank of gas on 15 inch wheels and Toyo R888 tires running the full windshield. The car is well sorted and ready to go anywhere the updates beyond Woody's build include a better catch can system like the one Folis used. The stock fuel tank was modified for an internal fuel pump and better baffling with check valves to eliminate all of the starvation issues caused by the stock baffling and odd pick up location. I also had the MSI alternator mount rebuilt with extra gussets added. The taller roll bar was built to meet requirements of the BMW and Porsche clubs just to deal with new rules used to block Ariel Atoms that required the fenders to be mounted to the chassis of the car. Eraser-X - sorry, I did not miss your car deliberately. For some reason my search script is not picking it up in the results twice - as a Birkin or Lotus 7. Maybe it is google again? Ah the mysteries of an intermittent IT issue.